Home / Blog / Shipping Blog / How and When to Outsource Your Shipping? 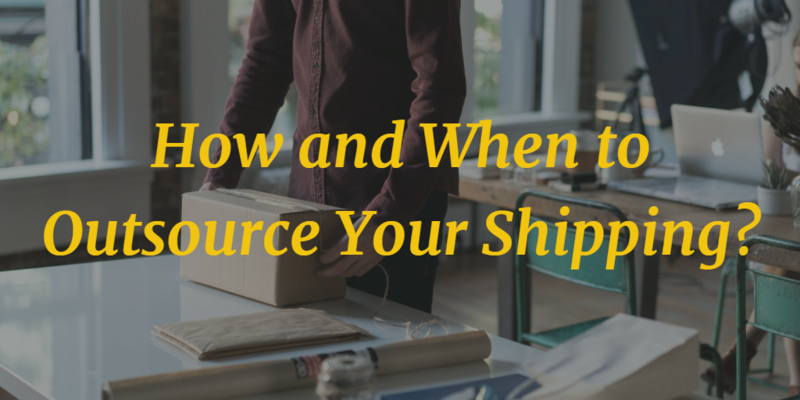 How and When to Outsource Your Shipping? When you’re starting small as a product based business, you may require to do all the heavy lifting on your own. For a start-up, commercial organizations managing operations might not be difficult, but with expansion, it could become daunting. Moreover, taking care of everything else might not leave you with the necessary time to focus and innovate your product. From warehousing materials to storing them and eventually delivering them at the customers’ doorsteps; the entire operations might become unsustainable at some point in time. The best and most effective option would be to outsource the entire shipping or delivery option to a professional setup. Timely and trouble free delivery are the two principal reasons for outsourcing shipping or logistics. 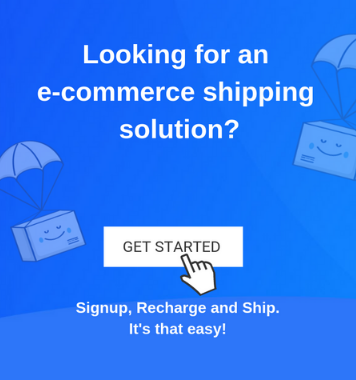 How to outsource your shipping? Selecting an outsourcing company is not easy especially in a competitive environment, which is why you must pay attention to these factors for the best choice. Identification of basics – Identifying the shipping company is the most difficult task. It is essential to examine the company’s transportation fleet, it’s warehousing, and storage infrastructure, its procurement processes, and customer service outlets. These are standard parameters of judging a logistics setup. Checking logistic processes – For any shipping company, its receiving of consignments, inbound inspection, and delivery schedules are critical. These need to be studied before it is actually entrusted with the task of shipping materials. Critical review of speciality parameters – Speciality parameters like supply chain capabilities, cost and gap analyses differentiate the leaders from the ordinary. Companies high on these parameters would presumably do a better logistics job. When to outsource your shipping? The following are the main factors contributing to the outsourcing of logistics operations. Saving on warehousing and storage space – Storage space is mandatory for any e-commerce or offline marketing organization since deliveries need to be made promptly. Further, with multiple categories of items meant for selling, the volume of merchandise could reach an exaggerating level. Space being premium, renting a warehouse could be expensive for any commercial entity. To reduce costs and to save on space, shipping might be outsourced. Increasing shipping options – Outsourcing increases shipping options by several degrees. For some destinations, road transport could be the best option, while for others airways might be the most preferred. This choice of transportation mode is best judged by a professional logistics company. Instead of juggling about the different options, it is always advisable that this task is carried out by experts. Gain flexibility – With multiple delivery options, your flexibility of selecting a logistic company increases. A company X might be strong in certain territories, while another company Y could be more capable in some other territories. The flexibility of selecting a shipping company strengthens your position as a marketing concern. Reduction in order realization time – Having multiple logistics options reduces delivery time and hastens the realization of payments. The time between order acceptance and payment realization gets reduced when deliveries are prompt and spontaneous. Saving on overhead costs – Maintaining an exclusive team for deliveries imply additional overheads in form of salaries, social benefits, and employee insurance. These might become detrimental for any business unit particularly if it is operating at a marginal level. Increase in overhead costs is likely to impact its competitive edge. These are parameters that might help in determining when to outsource and how to select the right logistic company for outsourcing your shipping requirements. The best advice is to analyze your costs as compared to the orders you ship and weigh your options wisely for the profitability and growth of your business.